Again a guided tour organised by DAC and CopenhagenX ! If you haven't tried them yet, I really recommend them! This sunday, the theme was around the urban lift, or renovation, that Amager East has been achieving during the past years. The whole process has been very long and slow because it integrated a collaboration with the inhabitants of Amager, right from the beginning. This results in a succesful renovation which is now quite recognised and rewarded abroad: the best metro without conductor, the best metro (both prices received in London) and a price for its lighting plan at the City People Light Award 2004 in Brussels. Among the renovation projects, you'll find the Holmbladsgade kvarter løft, the Amager Strand park and other ongoing projects. Which were the principle/desires behind the projects? buildings and factories. Where Amager was more of a factory location, the three other mentionned islands have hosted heavier industry. The trend tends to move slowly the remaining industrial activities to Prøvestenen and start a rehabilitation of the gained grounds: Refshal island and Magretheholmen are to become, one day, a dense city part with creative functions in an industrial heritage. 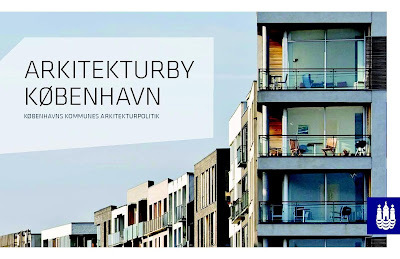 Such undertakings has been seen already along the waterfront and in the west of Copenhagen with Kødbyen -the meattown or butcher market- and Carlsberg site -the project was won by Entasis. The tour starts at the Amagerbro metro station. The square at the exit of the metro has been developped as the metro station was planed there. The metro is a very important link of that city part to the historical city center and to the airport. It allowed to start the renewal because suddenly Amagerbro was somehow closer in the city user's mental map. Holmbladsgade renewal plan is a combination of square renewals, a lighting plan (it seems it is the first lighting plan integrated to a project and not just added on top...quite revolutionnary for Cph, tells one of the guides) and social projects, such as a library, a sport hall, an activity house for the neighbourhood...It is also a plan integrating one of the "green biking roads" in Cph ( on Prags boulevard) and a strategy of small passages and streets going perpendicularly down to the water. Both of them favorises the light traffic: pedestrians and bikes. Two main stops to observe two buildings by Dorte Mandrup architects: the neighbourhood house -Kvarterhus- and the multisport hall, also known as the Prism. The first one is a rehabilitation of an old factory from 1880. This city part is packed with old buildings from a previour industrial life. The renewal isn't just tearing them down, but renovates them and give them a function fiting the present demands of th users. In the Kvarterhus, the slabs have been taken out in order to give free height to entrance part and link all functions by around that one space. A wooden structure with niches has been applied onto the facade, functionning as windows between in and out, esthetic and atmosphere bringing to the outside terrasse and -I suspect it but without certainty- a structural role of support for the "slab-free facade". The most known part of the project is the extension at the back: a room for gathering, discussing, meeting...made of wood and glass and a huge bookshelf on the inner side. The second one, Prismen, closes of a typical "carré" by stretching out the three gables into a huge volume. This method allows more light into the existing backyards than if the "carré" just was closed with buildings of same height. The inner organisation isas described: the ground floor serves sprots such as soccer, handball, volley, etc., while the plateaus higher up are used for observation, gathering or just less space demanding activities such as combat sports, yoga, meditaion. The facade is translucent, revealing to the outside what is happening inside -especially when it is lit at night. I call the two projects social because they are meant to create a safe frame where young people can exercice and use their energy in a constructive way. One of those projects, and maybe one of the most discussed, is Kløvermarken. It is a huge green field for soccer and outdoor sport. Many discussions have occured about should it stay as it is -a big outdoor green ground for free recreative use- or should it be built and integrated to the city? When the politician Rit Bjergaard suggested that Cph needed 5000 more housings at a fair price of 5000 DKK -the 5000 til 5000 suggestion- Bjarke Ingels Group came up with the idea to build the perimeter of the field up to a wall of housings. The existing sport fields would be kept in the center and the built frame would work its way up and down depending on the surroun dings and the access to the green center. Politicians were seduced on that rapid and effective answer, but citizens got frighten. The project were never fulfilled but the idea was tremendous, in my opinion (check out on big.dk, KLM 2006). 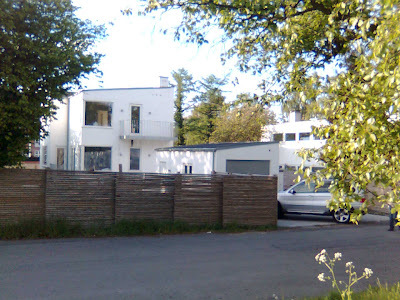 Since then Vandkunsten has come with another proposal but nothing is sure yet about who or even if there'll be a project there. Still very marked by the ancient functions, this part contrasts strongly with the first visited part. Here also the metro pops up from its otherwise underground path, creating a dividing wall in the landscape. This less succesful part is at the origin of groups such as the "Metro group" which aims to learn from those mistakes and rectify it by the best means. Again the citizens show to be very active in the making of their city. The gaz silo, emblem to Amager and its industrial heritage - its is to be preserved and rehabilitated somehow. The municipality is currently trying to find the funds for it. Many examples of rehabilitated silos can be found in Cph. To name only some of them: the Gemini Residence (grain silo from the soya factories in Havnestaden - check out the harbour tour with DAC), the gas silo in Lyngby and the gas silo in Valby. And talking energy, two giant windmills will be established along the shore here and should provide Cph with electricity. Amager strand park was inaugurated in 2005. Before that the beach wasn't very bathing-friendly: the low waters made it difficult to enjoy a swim or any kind of activity and the so-called beach was more like a sandy grass field. Hasløv & Kjærsgaard Arkitektfirma are behind the project: a 2 kilometers long sand island which pushes the beach part further out and creates recreation lagunes. Connected by bridges, ponctuated by a few concrete bungalows, the island becomes a part of the strandpromenade. Pedestrians and bikers can now enjoy the rich natur - especially the flora-, the panorama view over the Øresund and the crossing ferry traffic. Sports like kite-surfing and wind-surfing are very popular here. Children and amateurs bath and play from the inner beach, in the lagunes, as the professional sportsmen engage with the waves on the exposed side of the island. Amager strand park is also the host for one of the oldest winter bathing club: Helgoland. The club buildings had to be put down during the realisation of the project but have been rebuilt now. One of the most published projects must be the Maritime Youth Club, designed by PLOT (BIG+JDS), inaugurated in 2004. A waving wooden deck, under the corners of which class room and workshop spaces have been built, as well as space for storing canoës and kayaks. The remarkable points with this project is how every m² is used and how the architects turned a strong site pollution issue into a boosting element for the shaping of the project. As I mentionned earlier, this city part hosted heavy industry in its early days. This caused heavy metal ground pollution. Digging into the ground would disturb the stability and enhance the pollution effect. Plus, it would cost a great deal to move the polluted earth. So the deck sollution -building over ground- allowed to concentrated the budget on responding to the neighbourhood's needs and avoid a "pollution revival". The deck allows also to profit of m² under and over it. Again the prupose with the project was to give a social and safe frame for kids to use their energy on a constructive way, instead of hanging around and even maybe cause damages. Another maritime project is the beautiful Kastrup søbad -Kastrup sea baths- designed by White Arkitekter and inaugurated in 2005. Like a wooden snail, the protecting wall grows from some 1,5 to 8 meters high and incorporates wooden benches, stairs at different heights, jumping planks at different heights, changing rooms...Accessibility for handicaped was thought as a ramp down to the water (though they would need help to come up and down). The lighting is soft and comes from under/behind the wooden planks giving a warm and smooth glow to the whole project. Definitely one of my favourites since I saw it first time at my arrival to Cph. Coming soon, the new aquarium designed by 3XN will be situated just a bit more south from the Kastrup see baths. Den Blå Planet -blue planet- will be like a snail or mill with intertwining pools and tunnels for a very special underwater effect...I really look forward to see it realised! Here ends our tour and it is time to go home and get a good warm cup of tea and crowl out of our wet clothes! Yes, it was raining most of the tour but who cares when the architecture and projects are so interesting and the guide competent!